The Embassy Suites Chattanooga / Hamilton Place hotel is ideally located opposite Tennessee*s largest regional mall just 4 miles from Chattanooga Metropolitan Airport. Enjoy easy access to Enterprise South Industrial Park downtown Chattanooga and a number of attractions and famous beauty spots. Feel at home in a modern suite with flexible furnishings that allow you to create your own space. Keep in touch with WiFi at the spacious desk with ergonomic chair or watch movies on one of two HDTVs. Our beautiful suites also offer a microwave and refrigerator to make you feel at home and an onsite laundry service is available for your convenience. Wake up to a complimentary made-to-order breakfast at this Chattanooga hotel and savor sizzling specialties in Ruth*s Chris Steak House restaurant. 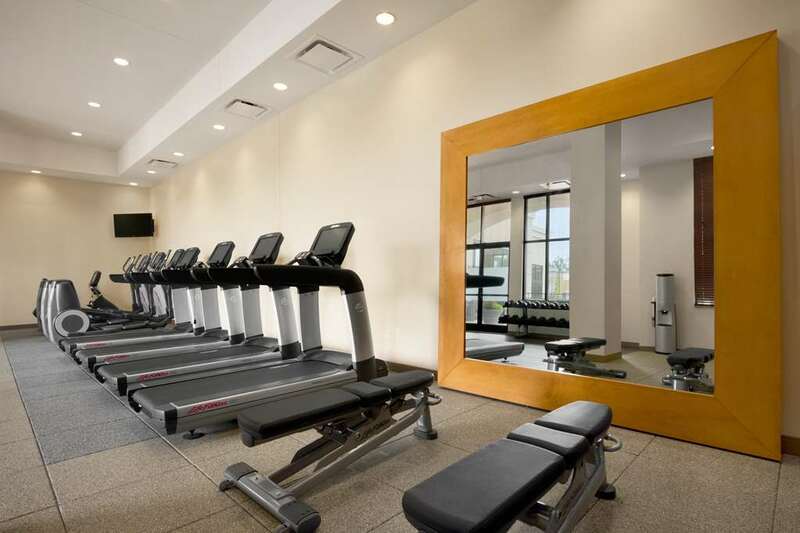 Work out in the fitness center relax on the outdoor sundeck or swim in the temperature controlled indoor pool. Each evening join others for complimentary beverages* and appetizers at our Evening Reception held in the welcoming natural atrium. With a complimentary business center 10 000 sq.ft. of flexible meeting space hospitality suites and a 3000 sq.ft. Rooftop Event Terrace overlooking Waterside Park our hotel is the perfect venue for events and meetings in Chattanooga. Tempting catering services the latest A/V equipment and a dedicated staff are available to ensure seamless events. *Subject to state and local laws. Must be of legal drinking age. J Alexander*s: J. Alexander*s is a contemporary American restaurant known for its wood-fired cuisine. The menu features a wide selection of American classics including prime rib of beef steaks fresh seafood sandwiches and entree salads. Carrabba*s Italian Grill: Carrabba*s serves fresh flavorful Italian dishes prepared from the finest ingredients sourced from around the world. Bonefish Grill: Fresh Seafood Dinner served with nightly specials. CBL - Associates Properties Inc.
Memorial Health Care System Inc.